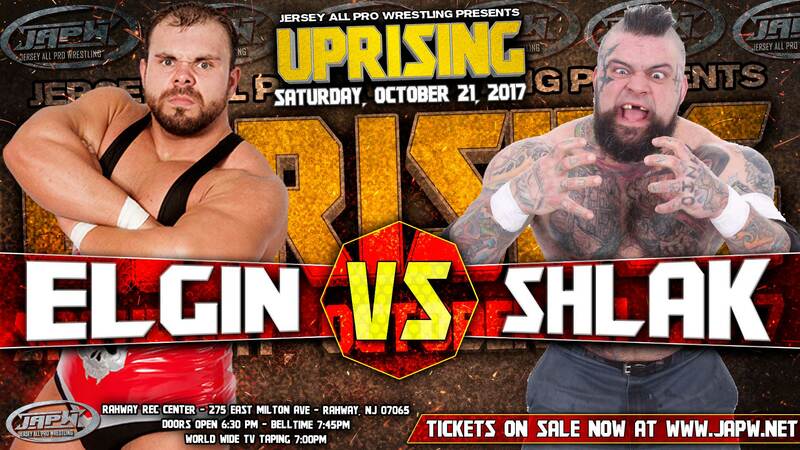 10/21 Uprising News: Michael Elgin vs Shlak, Danny Demanto Returns! – On the latest episode of JAPW World Wide, it was announced Danny Demanto will be making his in-ring return at #JAPWUprisingand has been qualified to enter this years Best of the Light Heavyweights! Demanto joins Rory Gulak, Matt Macintosh (who earned his spot by winning his match on World Wide), Anthony Gangone, Anthony Bennett, Brandon Watts, a mystery participant that will be revealed on 10/21, and another participant TBA soon! – Also announced, Michael Elgin will be taking on a guy who has been making waves in the world of ultraviolence, SHLAK, who will also be making his JAPW debut that night! NJPW Star Michael Elgin Headed to JAPW on 10/21 and more! 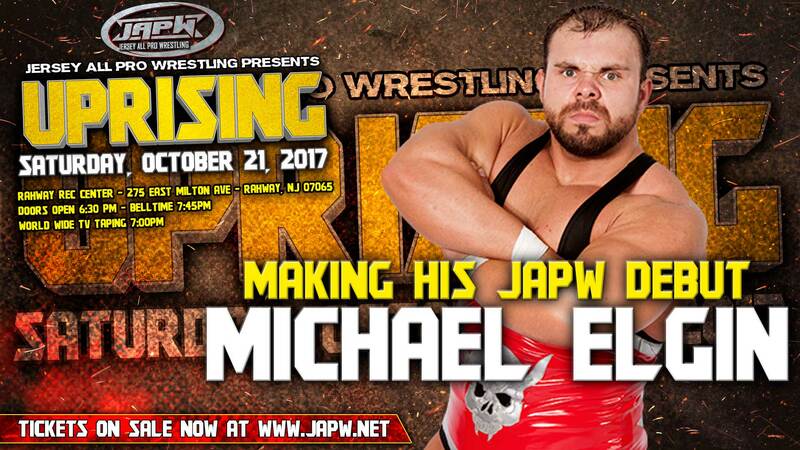 NJPW star Michael Elgin is headed to JAPW on October 21st at Uprising in Rahway, NJ and looks to make an impact in his JAPW debut! This top international star has wrestled in Ring of Honor, Pro Wrestling Guerrilla, Absolute Intense Wrestling, Lucha Libre Elite, CMLL, and appeared in the top 50 of the PWI 500 in the last 5 years (#76 in 2017, #18 in 2016, #43 in 2015, #14 in 2014, #37 in 2013). Jonathan Gresham challenges Archadia for the JAPW Light Heavyweight Championship at Uprising on October 21st! LuFisto makes her return to JAPW at Uprising on October 21st in a Fatal 4 Way match taking on Katred, the debuting Penelope Ford, and the debuting Gabby Ortiz! You’ve seen him last year in the WWE Cruiserweight Classic, Anthony Bennett is coming to JAPW to compete in the Best of the Light Heavyweights match at Uprising on October 21st! Joining him will be Anthony Gangone, Brandon Watts, and Rory Gulak, plus more participants to be announced, including the mystery participant that will be revealed when their music hits that night! A Top International Star Heading to JAPW? 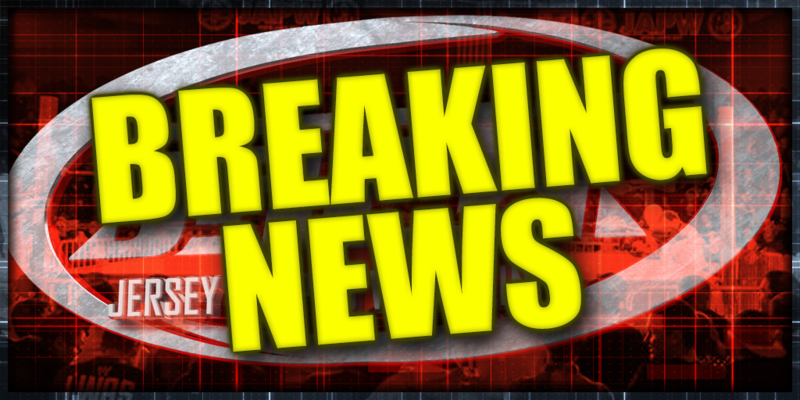 JAPW management is in negotiations with a top international star. Matt Riddle takes on Kyle The Beast at Uprising on 10/21 and more! On Saturday, October 21st, Matt Riddle makes his JAPW debut taking on Kyle The Beast, plus TJ Marconi takes on Joe Gacy, and The Private Party take on the debuting tag team Coast 2 Coast of LSG & Shaheem Ali! Previously announced, Keith Lee makes his JAPW debut challenging Blk Jeez for his JAPW World Heavyweight title! The Best of the Light Heavyweights returns with a mystery participant that won’t be revealed until the night of the show! and so much more TBA!